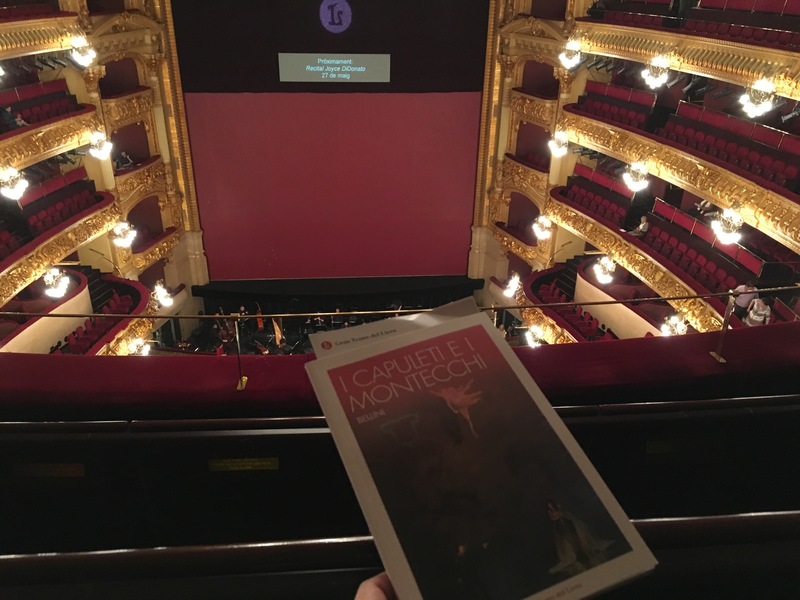 My first visit to Liceu has been planned with announcement of the season almost year ago, and finally after a long wait I was there for performance of the opera I have not seen live before. Bellini’s earlier work is regarded as imperfect, and even if I like it very much, I can agree that compared to Norma, this score could have been perfected, especially in the second act. The cast of the production for Friday night was starring Joyce DiDonato and Patrizia Ciofi, and if I was eagerly expecting to hear Joyce live (since there have been only numerous HD transmissions with her in title roles), Patrizia was new name to me, and reading some reviews I was very intrigued to see and hear her as well. 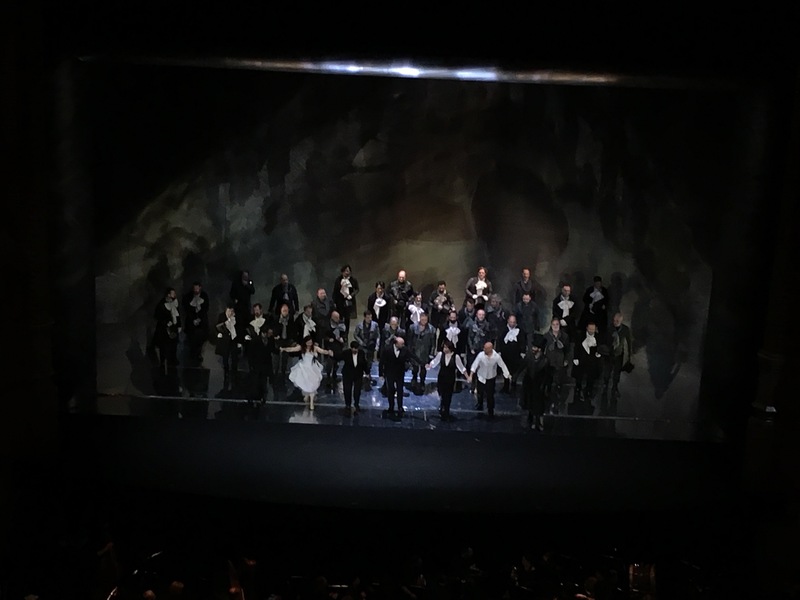 The expectations were fulfilled for both main protagonists, while other performers were delivering uneven performance, except chorus, which kept consistency and precision throughout the evening. Joyce DiDonato is living in the role, small details, artistic precision in action. Her Romeo seems more mature compared to original Shakespearean version, and the portrayal carries some masculinity rather than boyishness. Voice flourishes in lower register, surprising rich sound, some difficulties negotiating top notes, lacks brightness so typical to her in some other roles. Might be weather or health issue, and this was only the second performance in the run. Ciofi is a rising star, have to watch closely, her tone is bright and light, without extra squillo, negotiates demanding passages with lightness and skill. Staging requires her to fight through performance, either ridiculously climbing and singing in the wall mounted basin or balancing on the frame ledge in the second act. Duets with DiDonato heartfelt, delicate and intense in emotion. Tenor Antonio Siragusa as Tebaldo confused with his clear and bravely projected high notes with some unsteadiness in the midrange, and large vibrato. 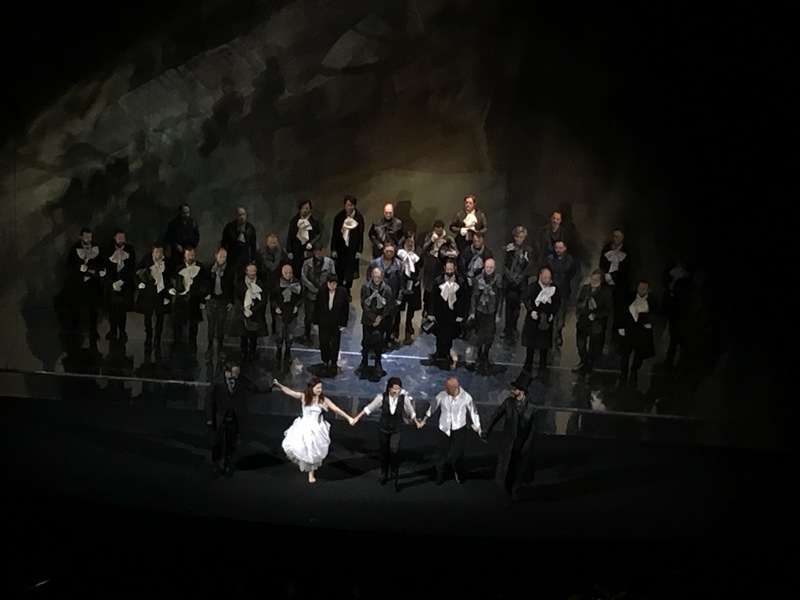 Confident acting, but vocal interpretation bland even if going into pianissimi in some moments were touching and demonstrated his ability to convey wider vocal palette. 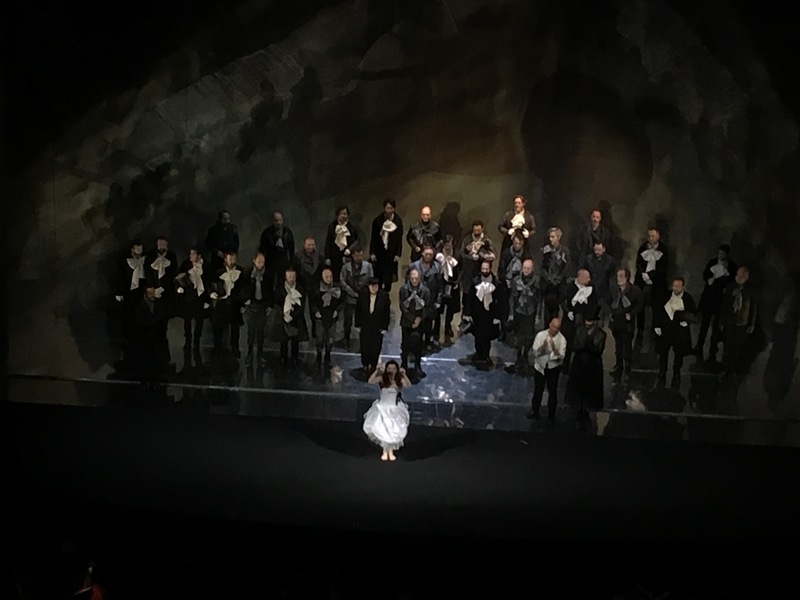 Staging very interesting, the dynamics of the chorus and minimalism of staging details, painting the picture with subdued lighting in sensitive nuanses brighter or darker moods, terror and love were painted on the walls. 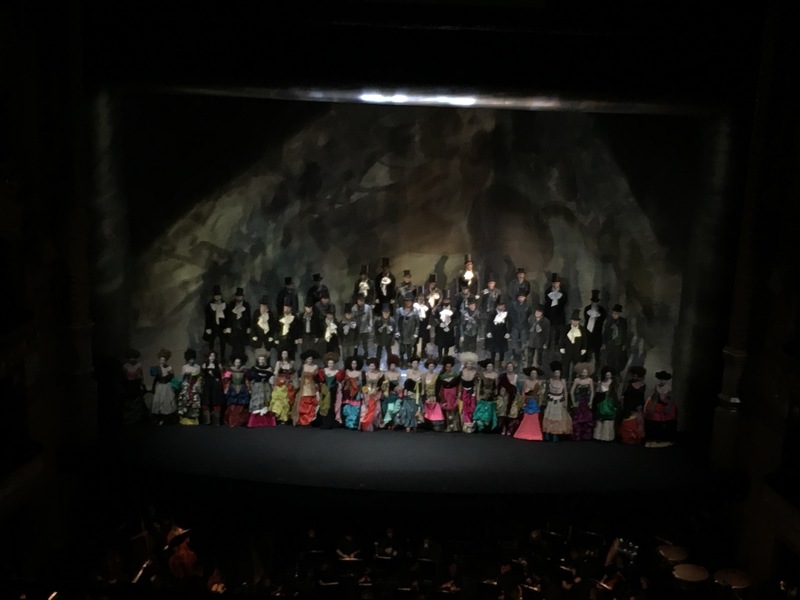 The production has been originally developed for Bayerisches Staatsoper, and was positively surprised for clever usage of stairs and idea of framing the stage as a painting. The conductor Riccardo Frizza led orchestra through the score with energy and agility till mid second act when the tempi were slowed down, assuming to demonstrate sufferring and tragedy, but the drama got a bit stuck and thus second act was less convincing as the score lost required traction. Listened recorded version by Luisi with Vienna Symphony and Netrebko/ Garanča where temporary slow down was used as well but just for one particular aria. Barcelona, Gran Teatre del Liceu, 20/05/2016. Bellini, “I Capuleti e i Montecchi”. Symphonic Orchestra of Gran Teatre del Liceu. 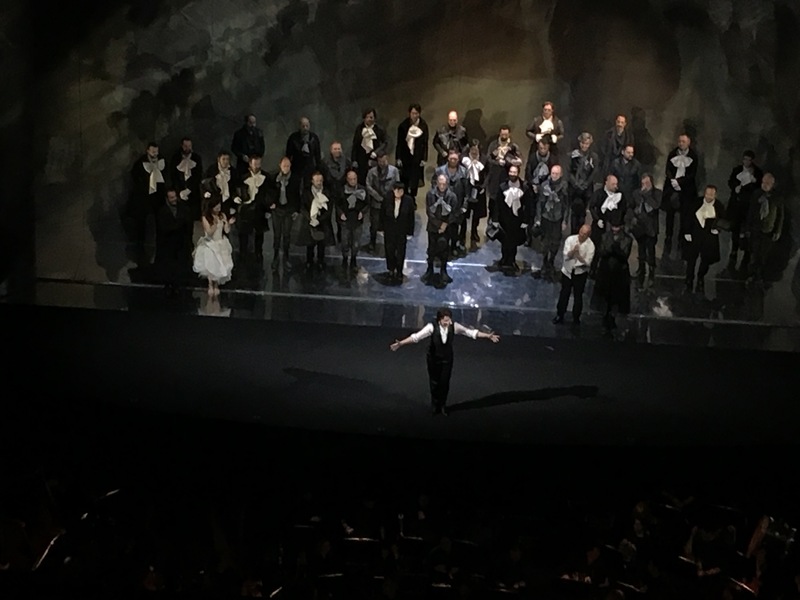 Choir of Gran Teatre del Liceu, conductor Riccardo Frizza, scenography Vincent Lemaire, costumes Christian Lacroix, Guido Levi, lighting. Production of Bayerische Staatsoper, San Francisco Opera. Next Post: Double take of Nabucco over a weekend. 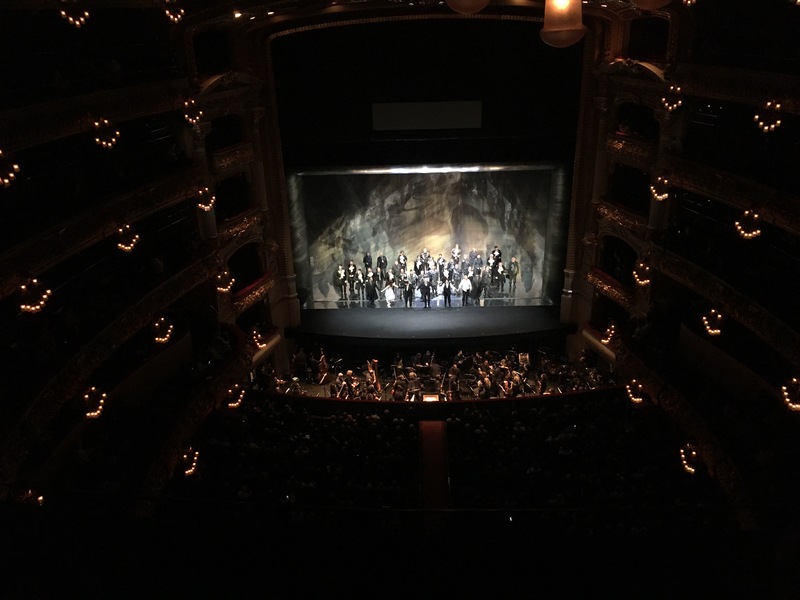 Verdi, Nabucco, Royal Opera House.